We are a technology company focused on online end-customer experience in automotive aftermarket industry. We create an e-commerce platform specialized for online car parts selling, with which we have changed the market. We bring a fresh sight into the automotive aftermarket by providing the most advanced technological solution. We push the industry further while making the aftermarket more accessible. We are expanding into other countries and reaching out to tens of millions of users. We also grow as a team and we are constantly looking for new talents. Our clients operate on Czech, Slovak, Poland, Hungary and Croatia markets. Expand on other European markets. Enter the US market with a new data service we are implementing. We do not make things which not makes a sense to us. We want to keep improving and be proud of our work. We look at everything from multiple angles. We educate our clients, provide them another point of view and find for them the most appropriate solution. We want to be improving ourselves, use latest technologies and approaches. Quality and meaningfulness matters for us. Super-friendly persons that other enjoy working with. Great opportunity to grow, improve your knowledge and skills. An adequate salary based on your skills and effort. Company notebook, 27” display and everything else you need. Own desk in a modern office located next to VŠB dormitory in Poruba. PlayStations and Nintendo NES in relax room. Participating on platform architecture design and extending it. Extending GraphQL API layer that controls whole platform. Cooperate with frontend developers on API design. Working on existing micro-services designed for serverless or Docker environment. Creating new microservices which splits from platform core. Implementing new features and business logic. Connect the platform to third party APIs like payment gateways, stock management systems.Creating new REST endpoints for our administration frontend. You will be implementing new UIs in React into the platform administration and webshop. Cooperate with backend devs on features and API (GraphQL) design. If can focus only on frontend side but you turn into fullstack dev if you want. But You should know how backend works. Think wisely about component model and develop with future in a mind. Creating new microservices that connects to third-party APIs or handles specific platform tasks. Implementing new UIs in React into the platform administration and webshop. You will be extending our continuous integration system. Creating internal tools that helps our support team handle frequent client’s requests and automatically provide data needed for billing. Implementing error reporting system for developers. You will work on UI for new features. Create design system for platform administration and webstore. Requirement is a strong understanding of industry tools such as Sketch, Adobe Creative Suite. Participate on marketing visual assets for our clients like social media, organic & paid posts. Important is the ability to effectively translate business requirements into high performing visual content. You will communicate with local, existing clients a manage their needs. Also, you will be an important part of our sales process. Requirement is good communication skill and understanding client's needs. Cooperate on strategy for your country. You will create and maintain campaigns for our clients. Create content for ads and social network. Good understanding of marketing aspects is needed. Google Ads, Data Data Studio, Analytics, G-suite, Facebook and Instagram environment. If you think you are talented and you have strong effort to finish meaningful things, contact us. We will be finding a position that fits you well. 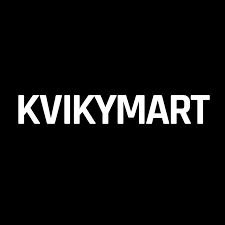 Feel free to contact us at jirka@kvikymart.com and jan@kvikymart.com.